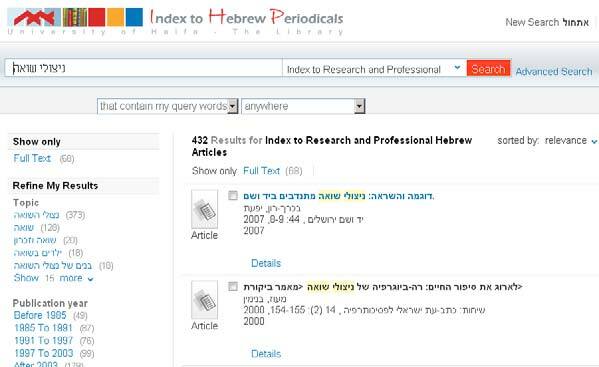 East View now offers the "Index to Hebrew Periodicals" (IHP), a bibliographic indexing project covering articles from Hebrew periodicals, collections, and some monographs. With an interface in Hebrew and English, IHP delivers content from 1977 in Hebrew, English, and other languages. © 2019 Pacific Vision Corp. All Rights Reserved.